the world’s most boring transfer window ever has come and gone, and i’m still feeling a bit jilted from the entire experience. as much as i think it’s a good thing that the world of football is finally being a bit more responsible (or maybe everyone is flat broke? ), i still wish there would have been a succulent transfer or two for us to all argue about. oh well, it’s not like we aren’t already hearing rumors about the summer transfer window. as i attempt to deal with the feeling of being let down, at least there’s been plenty of other juicy news to report about. sounds like the perfect time for another round-up, doesn’t it? 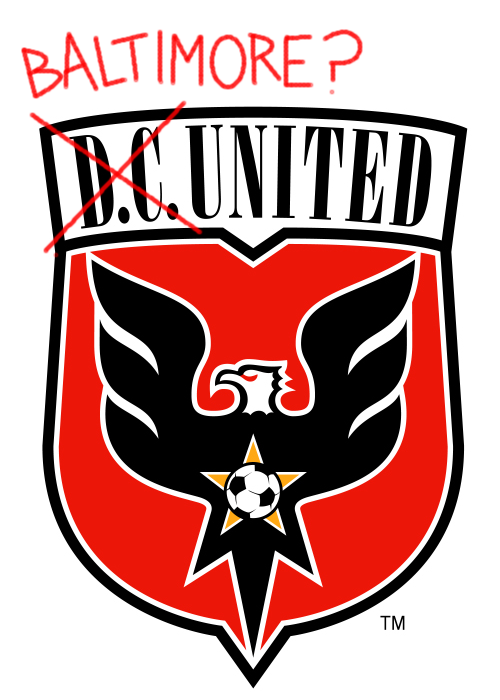 are d.c. united's stadium planning troubles pushing the team towards a move to baltimore? i doubt i’m in the minority on this issue, but i’m a huge proponent of soccer-specific stadiums here in the states. i remember the days of going to the cavernous ohio stadium to watch columbus crew games, and it just not feeling right. the place was, at best, 1/3 full, and the seats were awful for watching the action on the pitch. it’s nothing concrete, but news that the city of baltimore is studying to see if their city can sustain a stadium for their USSF div 2 side crystal palace baltimore is encouraging. two things of note here. first, i was completely unaware the the english championship side had a feeder club in the US. 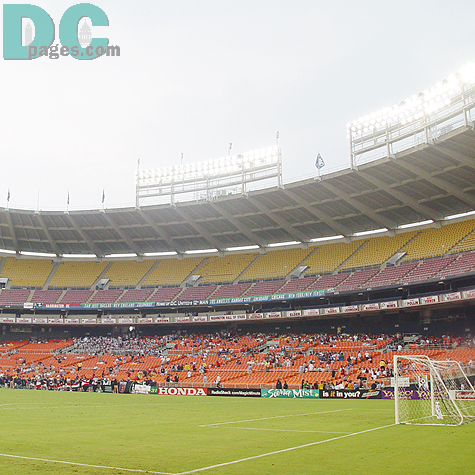 secondly, and perhaps even more intriguing, part of the baltimore study is to see if the city can operate a stadium big enough to lure d.c. united up the road from nation’s capital. whaaaaaaaat?!?! it’s an ingenious idea, seeing as how united play in an equally cavernous RFK stadium and can’t seem to get their new stadium plans rolling. baltimore united anyone? but wait, there is more MLS stadium development news to report as well. plans for building a stadium in kansas city have been passed, meaning that will end the wizards horrid run of using a minor league baseball park as their home stadium. additionally, expansion side philadelphia union’s gorgeous new stadium is set to open this season, and the club are on the verge of a $20 million stadium naming rights deal with local energy company PPL corp. all of this news has gotten me so excited, i think my new goal in life is to visit all of the MLS soccer-specific stadiums. well, well, well… it looks as if NFL fans have one less thing to look down their noses at us soccer-loving folk about. apparently, the 2009 champions league final between barcelona and manchester united drew more television viewers (109 million) than the super bowl (106 million) for the first time. while the NFL has grown in popularity over seas in the last few years, it’s inability to significantly crack the asian and african markets the way that uefa’s crown jewel has lead to this inevitable conclusion. seeing as how the champions league’s and european leagues’ popularity is still skyrocketing in those markets, i would imagine that this is trend we should continue to expect. it’s not news for any of us who have EA sports fifa games that sometimes the game can cause some heated disputes between siblings, friends and maybe the occasional stranger. but this story takes it to a whole other level. a roman man was offering some sort of tactical advice while watching his son play fifa (presumably, “quit using the trick stick so much.”) and the son apparently told him to take a hike. as most displeased fathers might do in such a situation, he turned the game off. wrong choice, dad. the son proceeded to retrieve a 15-inch knife from the kitchen and stab his father in the neck, then calmly walk back into the kitchen to clean the knife in the sink in front of his mother like nothing was wrong. lesson learned: i will now hide all knives/guns/malice while playing fifa with friends. thank you, john terry! due in large part to the recent public disclosure of the england captain’s affair with wayne bridge’s baby momma, the lid has finally been publicly lifted on one of the stories that’s been quietly whispered amongst american soccer circles for nearly a decade. the reason that john harkes, who was arguably one of the best players for the USMNT team and captain at the time, being dropped from the team just months before the 1998 world cup, was due to the fact that he was boinking mrs. wynalda. after the terry’s affair went public a few days ago, i eagerly watched fox football fone-in praying that someone would bring it up to eric wynalda on the show. i was not disappointed. eric squirmed through his answer, and i giggled with delight. while i feel bad for the guy about his wife cheating on him, he drives me insane with his pompous, cocky attitude, so it was nice to see him feel a little insecure and uncomfortable about it. i mean come on, it was almost twelve years ago. and though i hate the england and chelsea skipper with all of my being, none of this would have ever become public knowledge had it not been for terry’s indiscretions. in my rather lengthy piece last week concerning who i thought bob bradley would be bringing to south africa this summer, i mentioned ives galarcep’s ESPNsoccernet article about charlie davies’ recovery as my justification for including him in the squad. well, ives being the badass he is, managed to post a story on his personal blog giving us waaaaaay more from the interview than he could fit into his original piece. it gives even more detailed descriptions about davies’ rehabilitation and his personal reaction to the accident that nearly ended his career. worth the read if you follow the USMNT. last but not least, i have to leave you with the video of real madrid’s guti laying off the perfect backheel assist to karim benzema in their win over deportivo la coruña this past weekend. first, it was quite possibly one of the best counter attacks i’ve seen madrid put together in years. quick distribution by casillas to benzema, a smart ball to kaká breaking on the wing, and then kaká’s perfectly weighted pass to guti was magnificent. the veteran spaniard could have easily finished on his own, but the brilliance of the backheel to find the trailing benzema stole the show. if you haven’t seen it yet, it’s time to watch.